Nearly everyone uses totes or sports bags. Whether you haul your laptop to work in a tote or your gym gear in a sports bag, these handy organisers help make your life simpler. What if, though, the tote your employees carry to work each day bore your company’s logo? How many pairs of eyes would see your logo and company name as your employee rode the bus in the morning or went out for lunch, work in hand with an embroidered bag? Take that further. How about your customers? For much less than a traditional advert campaign, you could provide your best customers with custom-designed totes with your logo on them. Promotional gear given to reward loyalty will reap more loyalty in return. What could be better than happy customers who lug around their gear in a sports bag or tote with your company name emblazoned on it? 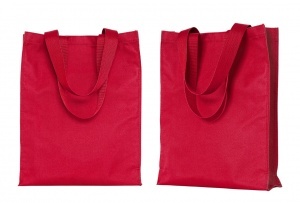 Almost a necessity these days, a tote or a sports bag is a practical way to promote your business. That’s not all. Those bags can start conversations. With several happy employees and customers heading out every day with a bag bearing your logo, you can bet that curious onlookers will ask them “What’s that all about?” And so spreads the word. Now, this kind of advertising just won’t work if you don’t have the right bag. Quality workmanship and quality design must be at the top of your list. What kind of advert would it be for a customer to lose her tablet because your cheap tote sprung a hole? What kind of a promotion would it be if your star employee’s undies poked out through a hole in his sports bag bearing your logo? Fortunately, you can have quality sports bags and totes that hold up under the hardest wear, all while showing off your company logo. Jubilee’s selection of custom-embroidered and silkscreened bags has something for companies of every size—in the quality you want at a price you can afford. Want to show someone you really care? Give the gift of practicality. A tote or sports bag with the recipient’s name embroidered on it can make the perfect gift for the person who’s hard to please. After all, who doesn’t need a bag or two to haul one’s gear around? Celebrate birthdays, milestone events, or accomplishments with a custom-designed sports bag or tote. With quality workmanship and eye-catching design, these bags should cost a fortune. But with Jubilee Embroidery, these quality sports bags and totes can be yours for a fraction of what you’d pay elsewhere. 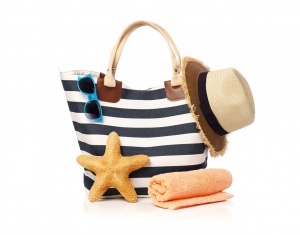 Contact us today for a quote on a custom-designed bag you’ll be proud to put your name on!